Deciding to take control over your financial life by going through bankruptcy in Nevada can be a daunting task. Bankruptcy in Nevada requires that individuals take certain steps both before and during the process, each of which can be done with or without the help of a Reno bankruptcy attorney. This includes credit counseling, completion of Nevada bankruptcy forms and filing for bankruptcy in the appropriate court. In an effort to ensure you are filing your Nevada bankruptcy in the correct way, it is beneficial to be equipped with the right tools each step of the way. If you have recently made the decision to proceed with filing for bankruptcy, here are some important aspects of Nevada bankruptcy you should know. Under Nevada bankruptcy law, individuals can file for either Chapter 7 or Chapter 13. Chapter 7 allows you to eliminate the majority of unsecured debt in a process that takes just a few months, but you must qualify and some assets may be used to repay creditors. Filing for bankruptcy under Chapter 13 takes between three and five years, but allows you to repay your debt under a new repayment plan while retaining some if not all of your assets. Each type of bankruptcy in Nevada is based on a means test which analyzes your level of income each month, the amount and type of debts you owe and other pertinent factors relating to your financial situation. A bankruptcy attorney can easily assist you in determining which route you should take when filing for bankruptcy and the advantages and downsides to each. Despite which type of bankruptcy in Nevada you are filing for, completion of a credit counseling course is required. Individuals must file the completion certificate with the Nevada bankruptcy court at least 180 days prior to filing, and the course must be approved. Once filing is complete, an additional educational course is required before the discharge, or completion, of the bankruptcy can be received. 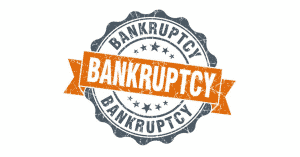 All the forms necessary to proceed with filing for bankruptcy can be acquired from the Nevada bankruptcy court or through a Reno bankruptcy attorney. Some forms can be complex, and depending on where you reside, local forms may be necessary as well. Once the correct forms have been obtained and completed, residents are able to file bankruptcy with the judicial district court in Nevada located in Reno. Although you can file for bankruptcy on your own, getting expert held from an experienced Reno bankruptcy attorney can make the process much easier. Most individuals need a degree of assistance to understand the process fully, including what type of bankruptcy they qualify for and how to move forward once that decision is made. A bankruptcy attorney assist you with determining what type of bankruptcy you qualify for based on your debts and income and can provide guidance on forms needed and the filing process. However, one of the greatest advantages to working with a bankruptcy attorney is the peace of mind that comes with legal help. A bankruptcy attorney not only manages the filing process, he will also take responsibility for fielding calls from creditors and working directly with your bankruptcy trustee. He may also represent you in court, taking away the burden of missing work throughout the process. Filing for bankruptcy does not need to be a stressful experience when you have an experienced Reno bankruptcy attorney on your team.